Forgive me for getting this post up so late today. We're celebrating a cute little boy's 5th birthday today, yesterday was his party, we're renovating a bathroom, and getting ready to go on a big trip. Needless to say, life has been incredibly hectic! 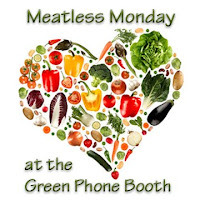 We had some great recipes from last week's Meatless Monday. 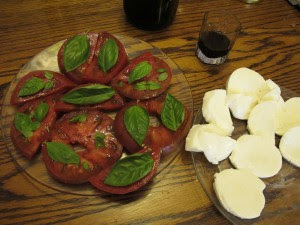 In these dog days of summer, I keep hearing people talk about no-cook dinners, so I wanted to share a great no-cook meal from Her Green Life whose Caprese Salad Sandwiches are made with fresh tomato, mozzarella cheese, basil, bread, olive oil and vinegar. 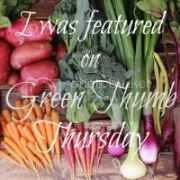 Toni of Toni's Treehouse also shared a tip that the Whole Foods website offers some great vegetarian recipes. Be sure to peek at all of the recipes that were entered last week, and add yours this week using Mr. Linky below. Ok! I'm all about the no-cook meals right now, just on general principle - there's so much fresh and good coming to the Farmer's Markets. I did cook my ear of corn for today's Meatless Salad, but I cooked it fast in the microwave in my fabric potato cooker so it certainly didn't heat up the kitchen. LOVE the look of the tomatoes, basil, and mozarella! I'm just cathing up with Meatless Monday, so I don't know if anyone has posted a quinoa recipe yet. I put one for a tasty salad on my blog and posted a link. It's great for summer - easy, tasty, and prepared ahead! Let me know if you like it! Thanks for the mention! And happy, happy birthday to the little big man! :) Can't wait to try this Caprese Salad Sandwich as it contains two of my favorite things -- mozzarella and basil! YUM!